Whole9 offers a variety of personal consulting packages, with a team dedicated to getting your health, fitness, and quality of life back on track. Hailing from New Zealand, Jamie Scott holds bachelor’s degrees in sport and exercise science and human nutrition, plus post-graduate qualifications in sport and exercise medicine and nutrition medicine. He has worked in the health and fitness industry for over 15 years as a personal trainer, nutritionist, and rehabilitation assistant. He currently works in the corporate health sector. 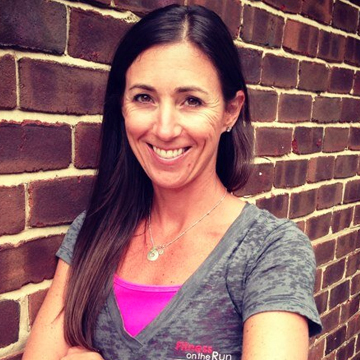 Jamie specializes in Paleo nutrition and lifestyle modification, periodized endurance sport training and nutrition, and workplace stress resiliency. Click here to see Jamie's consulting services. As Jamie is based in New Zealand, time zone differences may (rarely) prevent the finding of a mutually suitable time for Skype chat. If this is the case, additional email time will be allocated. Start Me Up – $250: This is the pack for first-timers who want Jamie to effectively trouble-shoot their health and lifestyle (including nutrition, physical activity, sleep quality, and so on), whether it be for fine-tuning what they are currently doing, or for undertaking a complete overhaul . This plan includes the collection and evaluation of current lifestyle habits, the development of some starting strategies from this evaluation, and a 60-minute Skype consultation to talk it all through. Longer consulting and coaching services are available with fees set at point of application by negotiation. To check availability or request more information, email Jamie at jamie@whole9life.com. Ann specializes in autoimmune illnesses, pregnancy and postpartum issues, and the rehabilitation of injuries. Click here to see Ann's consulting services. Wellness and Post-Rehab Programs: Are you just beginning an exercise program after years of inactivity? Have you recently been discharged from physical therapy, but find yourself unable to return to the active life you desire? Do you have an autoimmune illness such as rheumatoid arthritis, lupus, Hashimoto’s thyroiditis, scleroderma, fibromyalgia, or type 1 diabetes? Via face-to-face, Skype or phone consultation, Ann will take a thorough health history and design a program to help you reach your health and wellness goals. Paleo Diet and Lifestyle Programs: Via face-to-face, Skype, or phone appointments, Ann offers diet and lifestyle consultations for the management of autoimmune diseases, weight issues, and chronic pain/inflammation through nutrition, lifestyle, and exercise techniques. To check availability or request more information, email Ann at awendelw9@gmail.com.